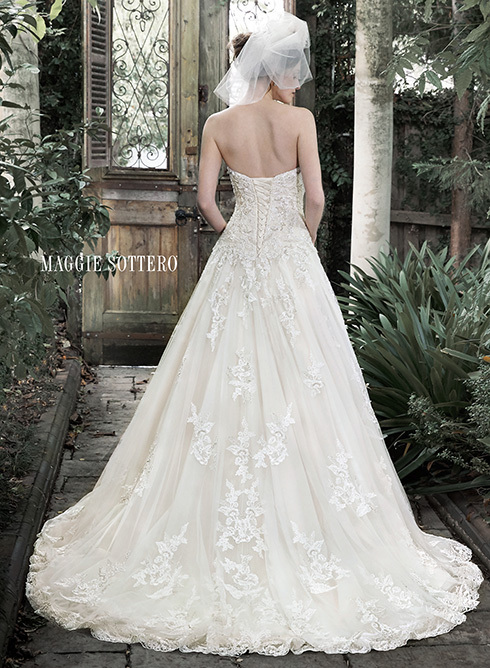 Elegance and romance combine to create this dreamy ball gown wedding dress. Exquisite lace; accented with pearl embellishments; adorns a fitted bodice before flaring into a voluminous tulle skirt; edged in delicate lace. 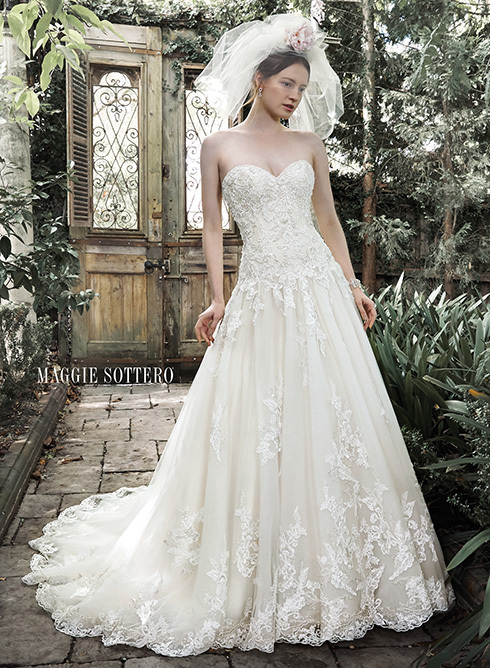 Complete with sweetheart neckline; optional lace cap-sleeves and corset closure.